Ever wish you could get more out of life? Are you ready to finally make it happen for yourself in all areas of your life? Well, here's your chance. Get this Make it Happen guide, absolutely free, along with weekly make it happen tips delivered directly to your inbox. Just type in your first name and email address below. Every now and then I come across a person who really moves me and comes up with an idea which completely resonates with me. You have probably experienced such moments in your life – something touches you deeply and you know that there is something really profound going on. And you are never the same person again. Call it whatever you like but it is as if your soul or your spirit is calling you to listen and pay attention. Something is happening in the month of March which could profoundly change you, me and the world. What better way to start the month of March than to have the intention of spreading more kindness in the world? 1. Alex, I have known you through the world of blogging for over a year now. Tell us a bit more about what you do and your blog. First, thank you Arvind for spreading the word about the 31 Days of Kindness project. Your kind spirit has always drawn me to you and your blog. I live in Overland Park, Kansas (USA) with my wife, Mary Beth. We share four beautiful children. Our oldest child, Brandon, lives in Denver; Caitlin is a senior and Andrew a freshman in college. That leaves us with one child at home – Emily, who is 12 years old. By day I’m the director of marketing for a publishing company. By night, I write for the incredible readers of The BridgeMaker. The BridgeMaker is the result of a personal journey recently completed. On the brink of divorce several years ago, I needed to make a few changes within myself before my life could change. Knowing that creating positive change was necessary, I started down the path of learning how to appreciate exactly what I have. So, many of the articles on The BridgeMaker deal with the themes of offering forgiveness, relying on faith during difficult times and appreciating the preciousness of each moment. My blog is my gift to the world. The BridgeMaker connects people who are looking to find faith, share inspiration and celebrate personal change. 2. 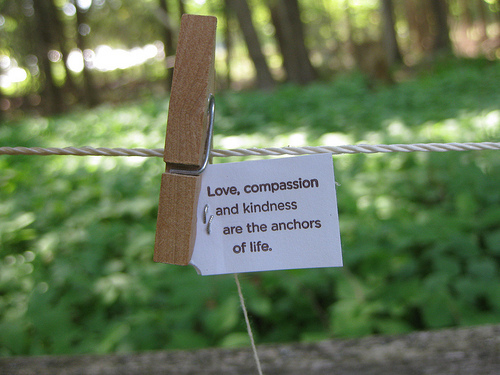 Alex, you have come up with an idea which totally resonates with me – launching the 31 Days of Kindness project. Tell us more about your world changing project. What inspired you to create this? On the personal journey I mentioned before, I found my life changed for the better when I adopted kindness as a daily habit. I also realized my heart was buried under so much shame that it forgot how good kindness could feel. Today, the relationships with my children are alive and Mary Beth and I are approaching our 26th wedding anniversary. I believe in the life-changing effect kindness can have, and I want to share this belief. 3. You want to encourage people to make kindness a daily habit. Please share some simple ideas that my readers can begin to implement today. 29 bloggers (including you, Arvind) contributed 132 simple ideas to the project. These ideas can be found in A Manifesto for Making Kindness a Daily Habit. This is a FREE download and an email address is not required to receive it. Assist your older neighbours with yard work. Take your child to visit an elderly person living alone. Buy a lottery ticket for a stranger. Put some coins in someone else’s parking meter. Treat a friend to the movies for no reason. Give another driver your parking spot. 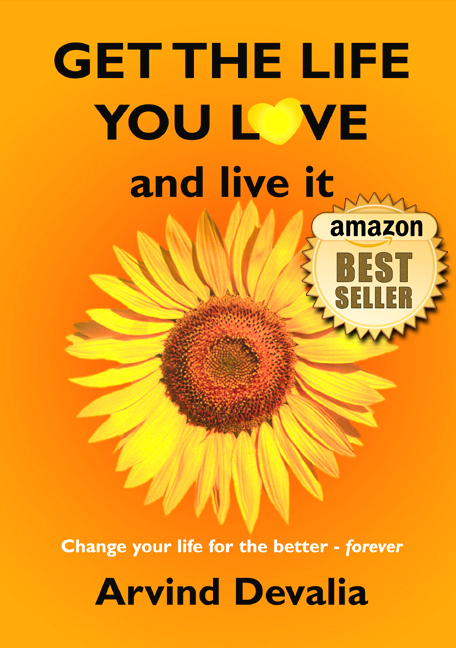 Buy an inspirational book for a friend. 4. I feel that there is no reason why your project can’t become a really big thing all around the world. Where do you see your project going? I am a person of faith. I believe this project is bigger than any one person because its mission is so important to the world. Therefore, I’m surrendering the outcome so I can focus on the delivery. 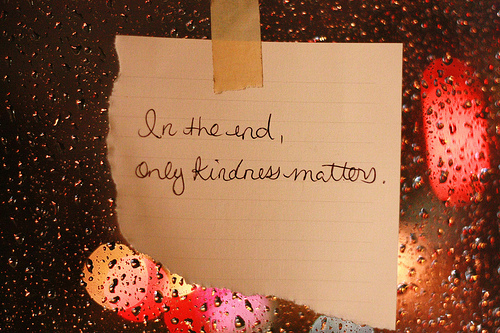 Your readers can get involved in the 31 Days of Kindness project, too. I encourage folks to write about the power of kindness and then share the link to their posts here by using the Linky tool found at the bottom of the page. By doing so everyone involved in the project can read all of the amazing posts. Additionally, I am inviting people to share how they are making kindness a daily habit on The BridgeMaker Facebook page and on Twitter (please use the hashtag #31Kindness after the Tweet). 5. Finally what’s next for you? What other life changing projects have you lined up for us? Good question Arvind. For me, it’s one project at a time. Part of the answer also involves seeing what happens in March. There may be the need to extend this project, or start a new one; or do both. Right now, my plan is support the 31 Days of Kindness and the people involved to the best of my ability. 6. Thanks Alex for all your love and kindness. Is there anything else you would like to add? Thank you for sharing me and this project with your wonderful readers. A project like this one takes a substantial grass-roots effort to make it successful. I sincerely appreciate your kindness and generous support. So there you are – go and get Alex’s Kindness Manifesto – and make every day in the month of March and indeed every day after that, a day of kindness and love. My act of kindness for the next 31 days is to send out a hard copy of my best selling book “Get the Life you Love” to anyone, anywhere in the world, who has carried out the most inspiring act of kindness that day! Alex and I will decide who this person is every day. All you have to do is state your act of kindness for that day on the BridgeMaker Facebook page for Alex’s 31 Days of Kindness project. So folks, start carrying out your acts of kindness! Please tell your friends about Make It Happen by using the share buttons below. Steve, welcome to my blog. It feels great to be on your site. Very inspiring indeed. I too am an Indian blogger from India-but just into it-to spread some cheer in the world. Jasmin – welcome to my site. more people like you and Alex are needed in this cruel cold world. i am deeply moved . Steve, welcome to my blog and thanks very much for your kind words. 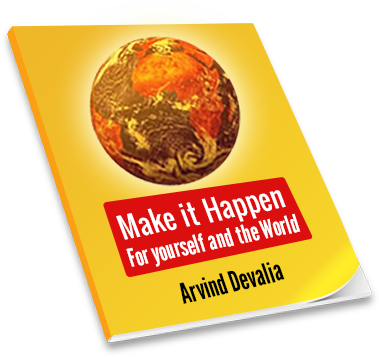 Hi, I'm Arvind and I am delighted to welcome you here to Make it Happen. If you want to improve all areas of your life and be happy, then you have come to the right place! Strive for Excellence - Just Begin! All rights reserved. No content on this site may be used in any fashion without written consent from Arvind Devalia.